Dozens of lives needed saving — including one very special couple. 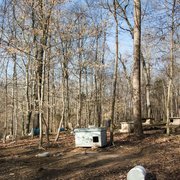 It's difficult to say exactly how things got so out of control at a farmhouse in Tennessee — but by the time an animal control officer arrived, it was clear the situation was dire. The owner of the property was a breeder of golden retrievers and German shepherds. He recently passed away and his elderly wife, who according to one source was in an abusive marriage, went to a nursing home. 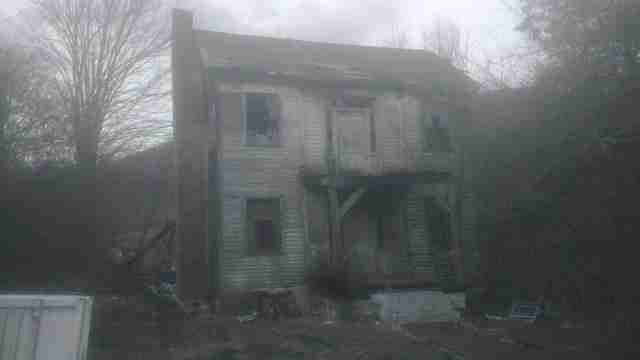 The dogs were left to fend for themselves in a dilapidated old farmhouse. Video shot by someone who had been coming to feed the dogs shows just how desperate the situation was. In the footage, dogs are seen running loose inside and around the house. Several of them appear to be scared and skittish of people. "There are still 43 dogs on the ground," Cindy Droogmans, founder of A-Team Elite Rescue Dogs, a rescue organization in Long Island, New York, told The Dodo. "I built up a group with several rescues to bring these dogs in safely. This is teamwork." 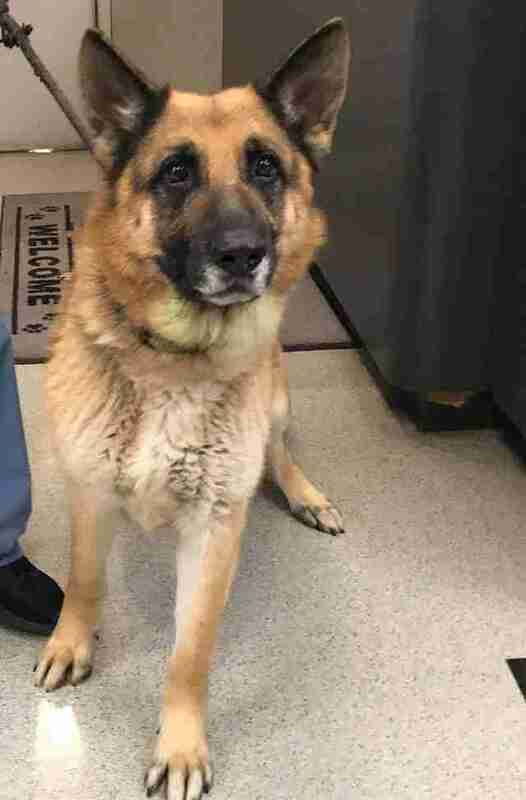 One dog, a 14-year-old named Bear, already had to be put down because of his failing health. Droogmans is communicating with animal control officers and helping to coordinate the transfer of the dogs to various rescue groups, like Big Fluffy Dog Rescue in Nashville. None of this is simple, considering the dogs are skittish of people. 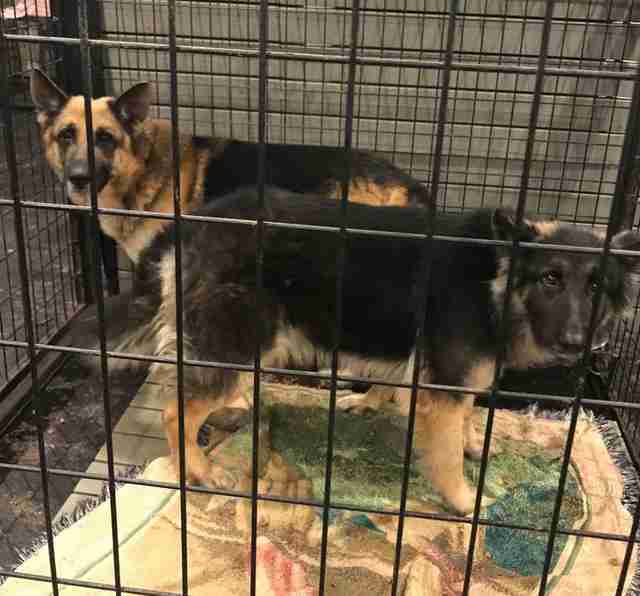 "We will be working with the animal control officer (who has been amazing) and hopefully other rescues to assist in getting these dogs trapped and triaged," Big Fluffy Dog Rescue wrote on Facebook. "This will be a multi-week project as the location is remote and the dogs are not going to willingly walk up to be leashed and removed." In the frenzy of trying to get the dogs to safety, Droogmans is also trying to keep in mind the emotional well-being of the individual dogs. 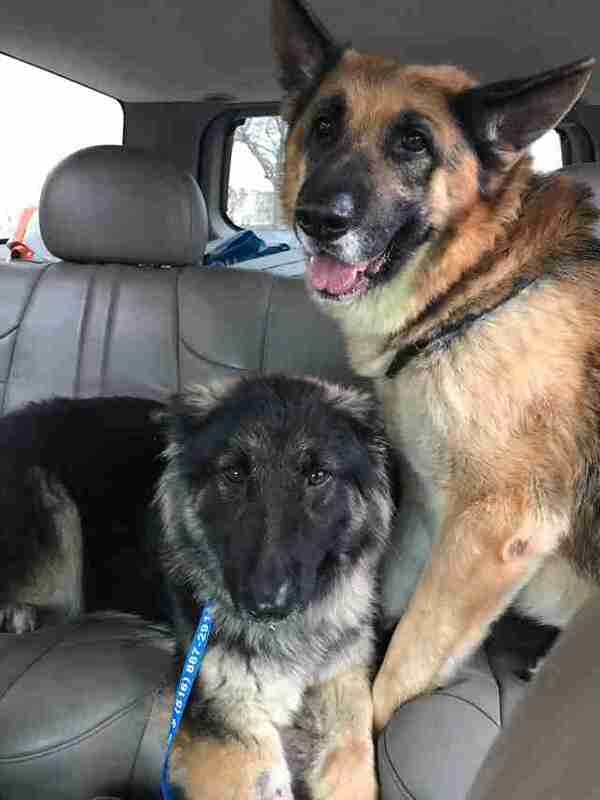 For instance, one pair of bonded dogs, whom Droogmans has named Adam (age 5) and Anabelle (age 2), need to be adopted together, since it's clear that they're very close. Droogmans has brought them up to New York to help them recover and get ready for a home through A-Team Elite. "Adam and Anabelle have to stay together," Droogmans said. "They lie against each other when they see each other." 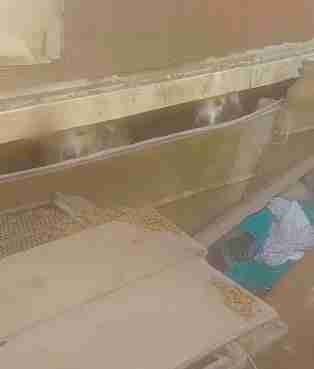 Many of the female dogs saved from the farmhouse were discovered to be pregnant. Anabelle was, too, but a veterinarian discovered that all her puppies had died in utero. Perhaps that's one of the reasons she's so attached to Adam — he was a source of comfort for her when she was feeling scared and sick. "Anabelle cries when she does not see Adam," Droogmans said. "They are very skittish so we need an adopter who has patience." Both Adam and Anabelle are currently seeing a dog trainer to help them feel less afraid. Once they calm down, and learn that the past is truly behind them, they'll be looking for a home together. "They don't want to leave each other's side," Droogmans added. With her determination to find them a perfect home and a little luck, Adam and Anabelle won't ever have to be apart. And life will soon get so much better for all the dogs found in that house. To learn more how you can adopt Adam and Anabelle when they're ready, you can contact A-Team Elite Rescue Dogs. You can also make a donation to A-Team Elite through PayPal to weloveateamelite@yahoo.com or donate to Big Fluffy Dog Rescue to help save more dogs like them from bad situations.